If you'd like to have some fondue for lunch or dinner while dining alone, there's no need to heat up an entire pot of it, unless you're really hungry. 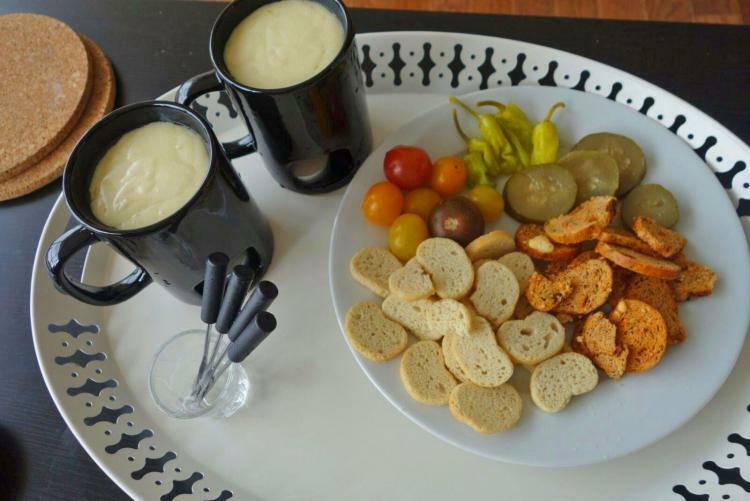 These miniature fondue cups allow you to heat up just a small amount of cheese, fudge, etc, for just 1 or 2 people, and are heated using the power of just a small candle. 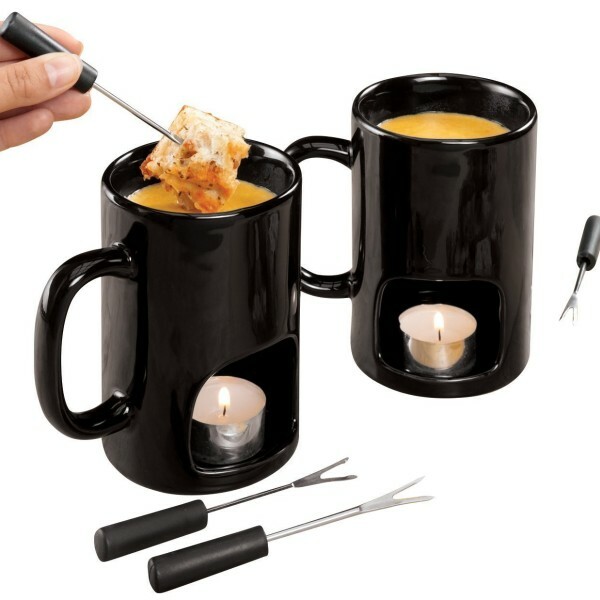 A large opening on the bottom of the mug allows you to place a lit candle that will send heat to the contents of your mug and keep them extra hot while you dip your fondue forks in for consumption. 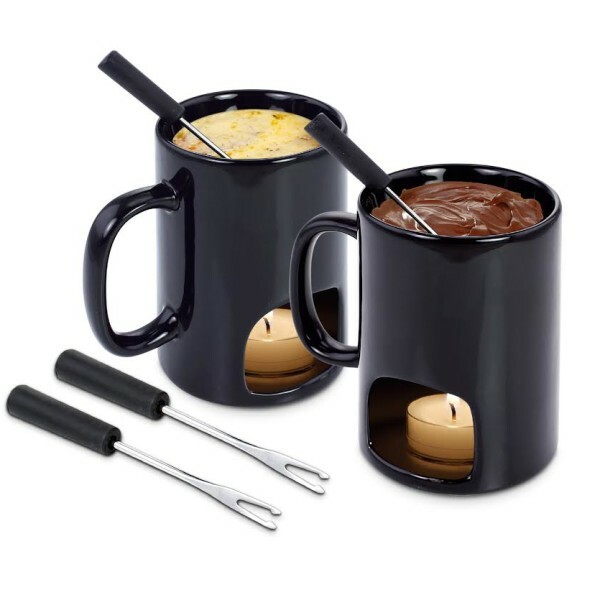 The purchase comes with 2 fondue mugs along with 2 fondue forks, so you'll need to provide your own tea candles. 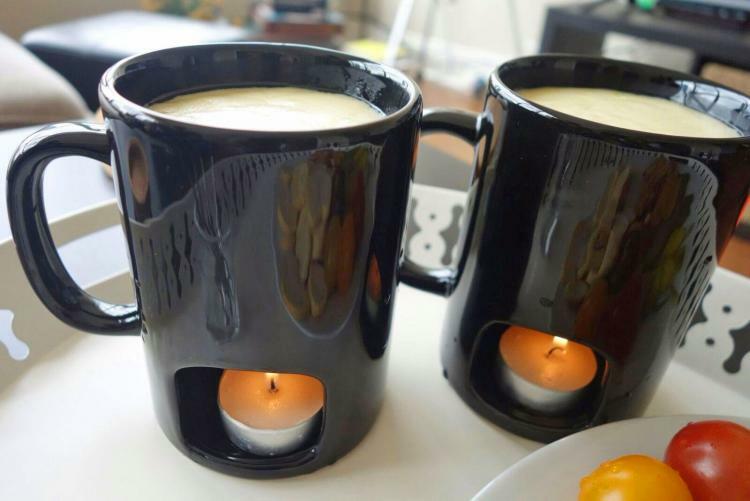 Just make sure there's a lot of oxygen flow that's going towards the flame, otherwise it might go out since the candle sits in a somewhat enclosed area under the mug. 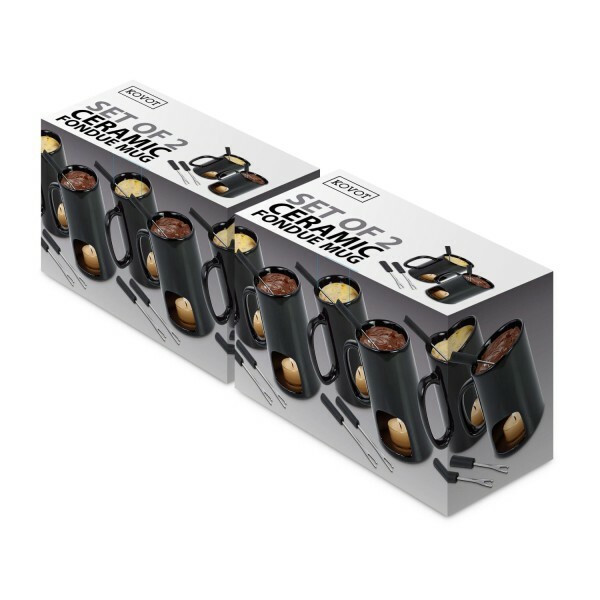 The fondue mug set is great for cheese, chocolate, or a number of other foods, is microwave and dishwasher safe, are black in color, and each mug measures 4.75 inches tall x 5 inches wide with the handle. 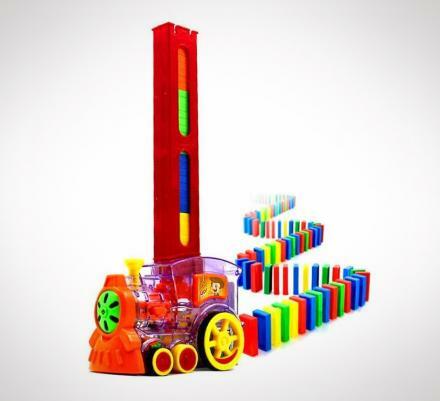 The fondue forks measure 4 5/8 inches long. 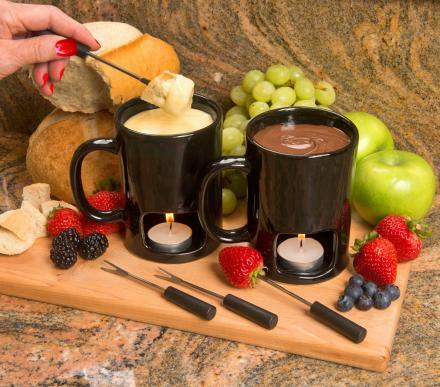 Check out the candle powered fondue mugs in action via the video below.